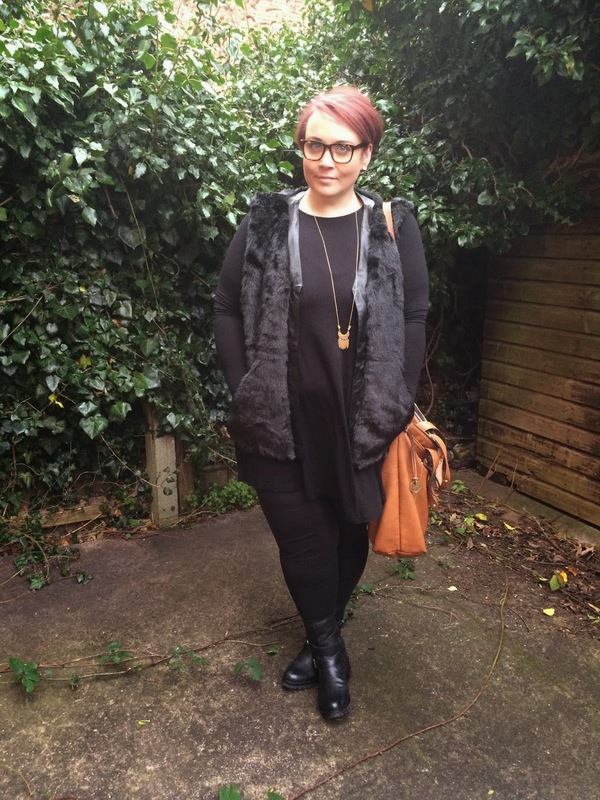 I've been loving the fur trend this winter, it's luxurious and sumptuous but can still be completely casual. 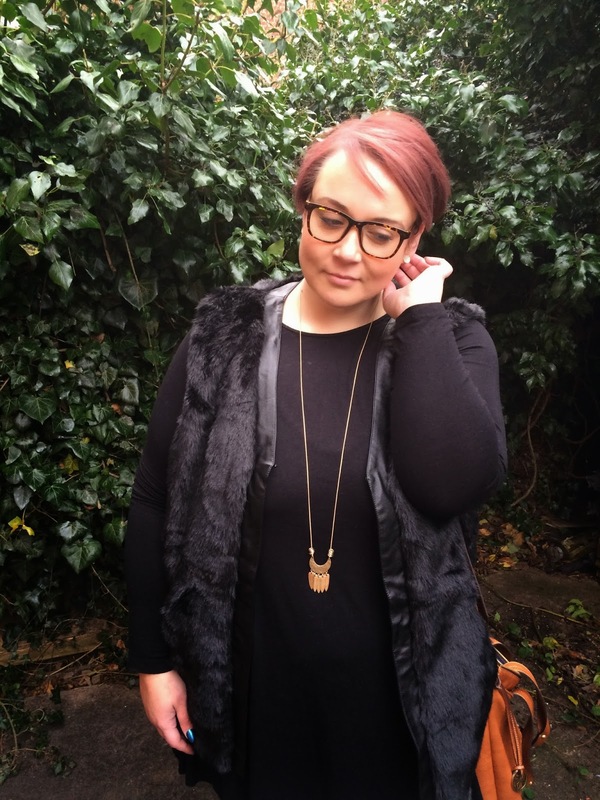 This gorgeous gilet from independent plus size brand The Curve is a bit tasty! I kept this outfit so simple, I didn't want to detract from the main focus of the gilet really. I think it would have been easy to over do it which we all know isn't my style. This is the kind of piece that is going to take your outfit to the next level yet is still incredibly wearable. I mean I did the school run in this and took Poppy to her swimming lesson, I didn't feel overdressed, but I did feel just that little bit fancy which is lovely! 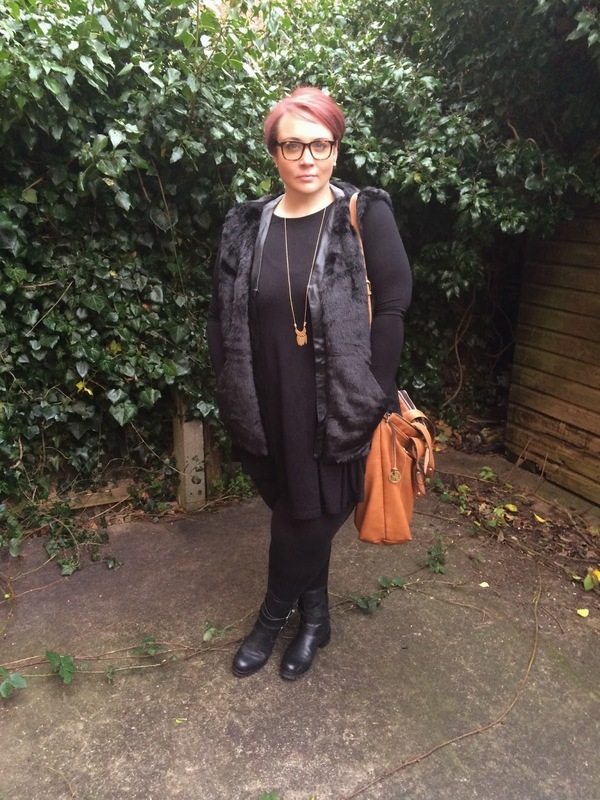 I've reviewed The Curve before and found it to come up a little small, so I got the 24 on this occasion, but this faux fur gilet is actually pretty true, so I could have got my usual 22. In terms of budget, this is a high-end piece, I'm not going to lie, it won't be suitable for a lot of pockets, but if you are in the market for something different from an independent plus size brand, you can't go far wrong with The Curve. 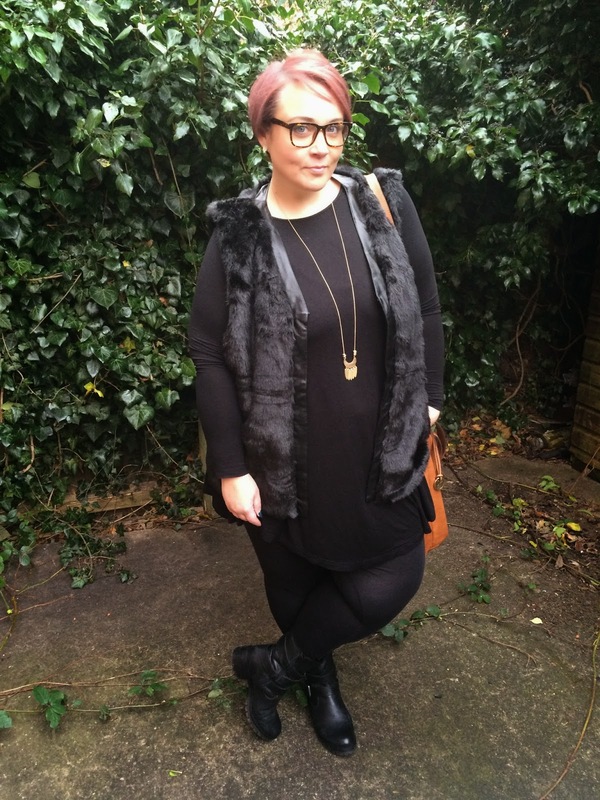 Have you embraced the fur trend? If so how? Just a subtle collar or accessory or full on furry snuggliness? (Yes, that's a word). Oh my stars, I'm totally down with this look...can I just wear the whole outfit?!! 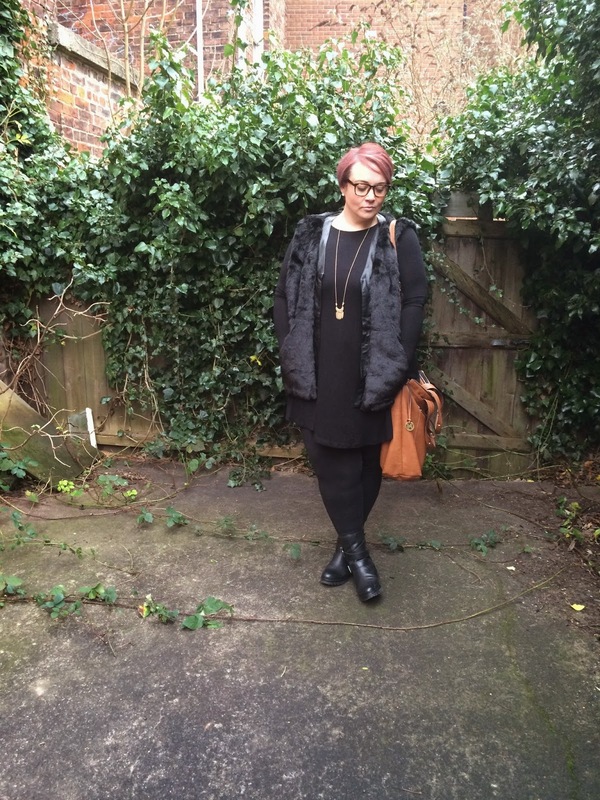 I love the fur trend, the only piece I have is a black faux fur hooded coat, but it's been to warm to rock it yet! I also picked up a pretty fab vintge mink collar from a thrift shop, so I've worn that at least!